A conference on “inclusive capitalism” brought out the rhetorical best from Christine Lagarde and Mark Carney. The IMF and Bank of England bosses flagged inequality as a problem, rather than side-stepping it. Their backing could make it easier for politicians to take action. The Governor of Britain's Bank of England Mark Carney (L) and Christine Lagarde, Managing Director of the International Monetary Fund (IMF) attend a session at the World Economic Forum (WEF) in Davos January 25, 2014. 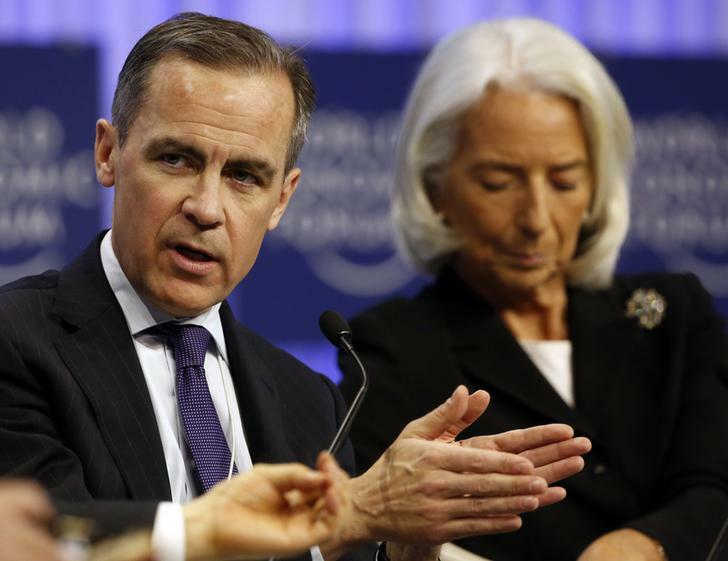 Christine Lagarde, the managing director of the International Monetary Fund, and Mark Carney, the governor of the Bank of England, spoke on May 27 at a London conference organised by the Inclusive Capitalism Initiative, an offshoot of the Henry Jackson Society think tank.